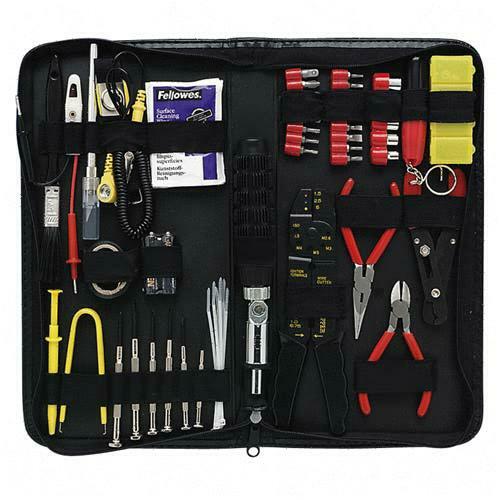 Building a PC Tools kit, If you own a computer, it is important to have a PC toolkit to fix a variety of problems. It is possible to predict system failures and this is why it is important to have the right tools. The toolkit is designed to fix a variety of hardware problems. One of the components that you will find in a computer basic tool kit is a wire stripper. This tool is useful when you have to take off insulators on wires. The tool makes it easy for you to strip the wires without damaging them. In most cases, the problem with your computer may be the wiring and this is why you need to have a wire stripper. The toolkit also has screw drivers to help you to remove screws on the computer. Computers usually have a variety of screws therefore you need screw drivers in different sizes. Most of the toolkits that are available in the market have about six sets of screwdrivers in different sizes. Another component that you can find in the toolkit is grips. The grips included in the toolkit include mini-wrenches and pliers. The tools are used to grip the various parts of the computer system. Extension bars are also found in computer basic toolkits. These tools are important because when you are carrying out repairs on a computer system, there are various parts that are not easy to access. The extension bars come in handy and they will make it easy for you to loosen screws in the corners of the machine. 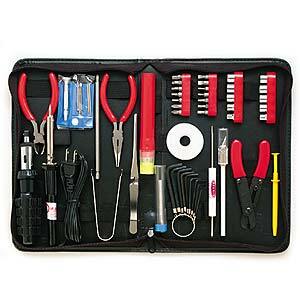 A soldering kit is also found in the computer basic toolkit to help you join any parts during the repair process. A soldering kit should come with a variety of components including soldering iron, soldering wire, solder core, heat sink, soldering stand and soldering gun. The small parts of your machine also need to be well maintained and this is why your computer basic toolkit needs to have some micro-part management tools. These tools include tweezers to pick tiny screws and magnifying glass to examine the small components. Some of the repairs that are carried out on the computers are not hardware based and this is why computer basic toolkits have boot disks. The boot disks will help you to re-install your operating system once your machine breaks down. The boot disks in your toolkit should have the main operating system. Malware is a big problem that computer users have to deal with and this is why it is important to have some anti-malware tools in the toolkit.